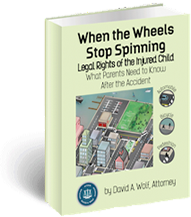 David Wolf is the author of 12 books that focus on personal injury and safety issues. Throughout his 27 year legal career, David Wolf has always focused on the rights of individuals who have suffered personal injuries due to the negligence or fault of another person, business, or government entity. In the aftermath of a car accident, there are a number of challenges and issues that face the personal injury victim and family. 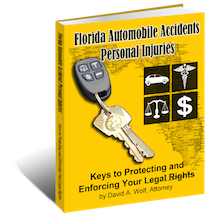 In order to help victims and their families better understand the the common problems and stresses that arise in most car accident cases, David Wolf wrote these books which include specific books covering car accident issues and topics. Personal injury claims and cases have many twists and turns that are beyond the control and expertise of the injury victim and family. Because of this, it is important to be informed, to get answers, and, yes, to get legal representation in place. 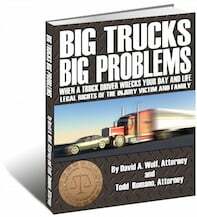 The books written by David Wolf will certainly empower you and inform you of the issues that arise as to insurance coverage, medical bills, medical care, legal liability, compensation, and legal liability. As part of his community service and outreach efforts, David Wolf provides these books free of charge to clients, prospective clients, and others in search of information.